Data has always intrigued me. And hence dedicated good part of the last 4 years in playing around with different components within the Hadoop stack. I also have this entrepreneurial bone in me that pushes me to “try out” different entrepreneurial experiences. 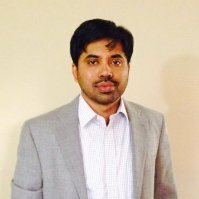 Since 2006, I have co-founded and exited an IT services company (www.usistech.com), a consulting company (www.softvsai.com), an e-commerce company (www.teamindiashirts.com), and a branding company (zooby). I am very excited to be part of this mentorship program with startupbootcamp and look forward for it.